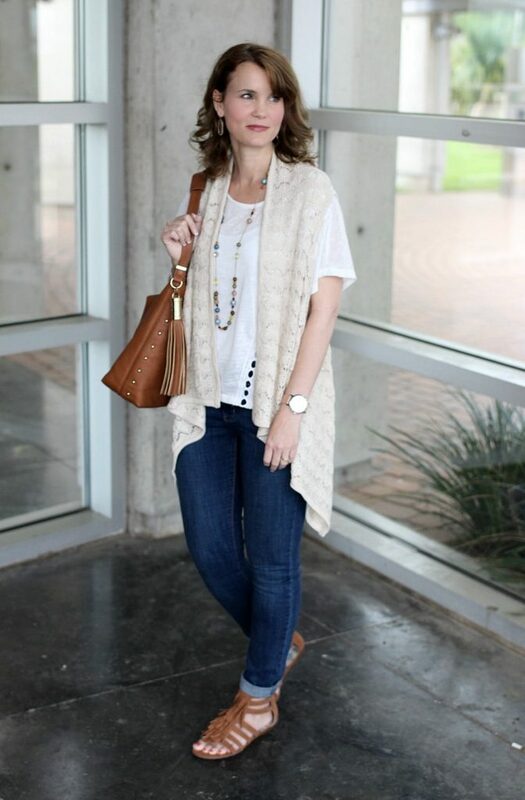 When you hear the term boho, what comes to your mind? I think of fringe, woven patterns, tassels, florals and gladiator style sandals. 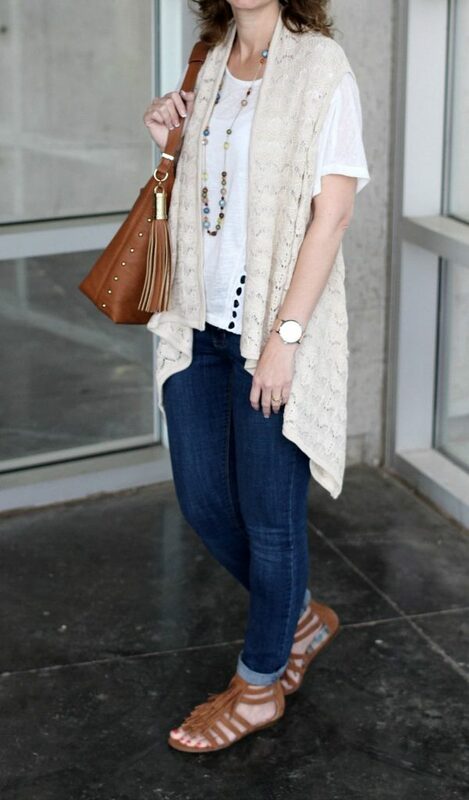 For those of you who love boho as much as I do, you’ll be excited to hear it’s a big, huge trend right now! And it’s one of those styles that transcends seasons and ages. It’s also a style you can grab touches of without feeling like you’re going overboard. I’ve teamed up with Rack Room Shoes to share with you the perfect shoe that highlights boho fashion so perfectly. 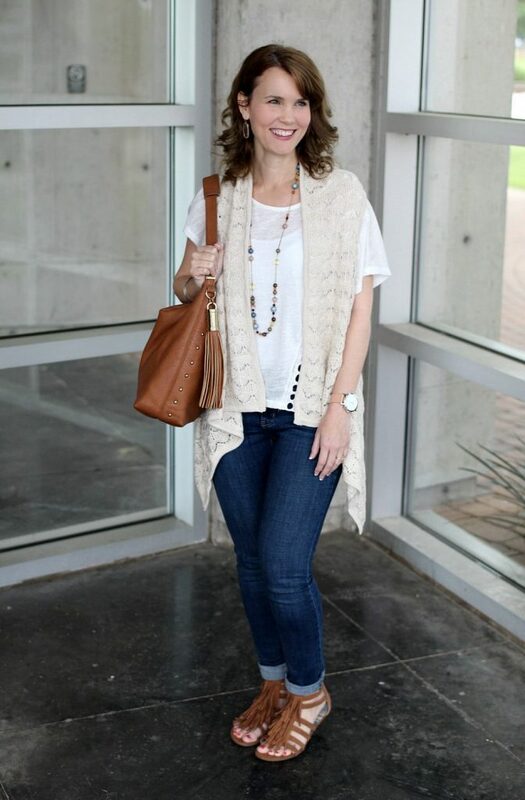 From my tassel purse and woven cardigan to my fringe sandals, this is my favorite way to boho it. After I put this outfit together I said to myself ‘yep, I could wear this outfit every.single.day’. It’s both comfortable and stylish. Can we talk about these shoes for a minute? These are the Limelight Navajo sandal from Rack Room Shoes and are officially my new favorite spring sandal. I’ve found myself wearing a lot more brown shoes lately, as they go with everything, and the design makes these incredibly comfortable. I love a good heel or wedge, but for everyday use a flat shoe is perfect for me. The back zipper and flattering ankle cuff style of these is perfect with jeans, dresses or shorts. 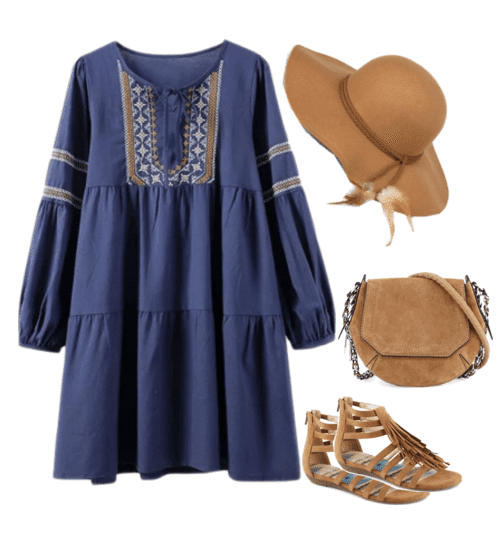 Here are more ways I would wear the boho trend. To shop the shoes I featured today, visit RackRoomShoes.com. Disclosure: Mom Fabulous received samples to facilitate this post. All opinions are 100% my own. Those shoes are so cute! I saw them in the store and tried them on but talked myself out of them. Have to go back now that you’ve shown how versatile they are. Cute shoes! 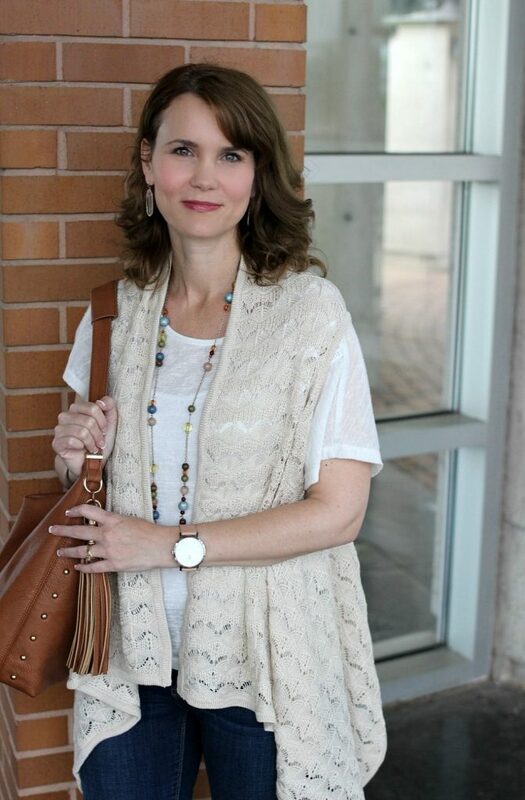 And I love your vest/blouse/necklace combination. Those shoes are fabulous!! I need to find a great pair that are cute and comfy like that. Those are some super cute shoes! 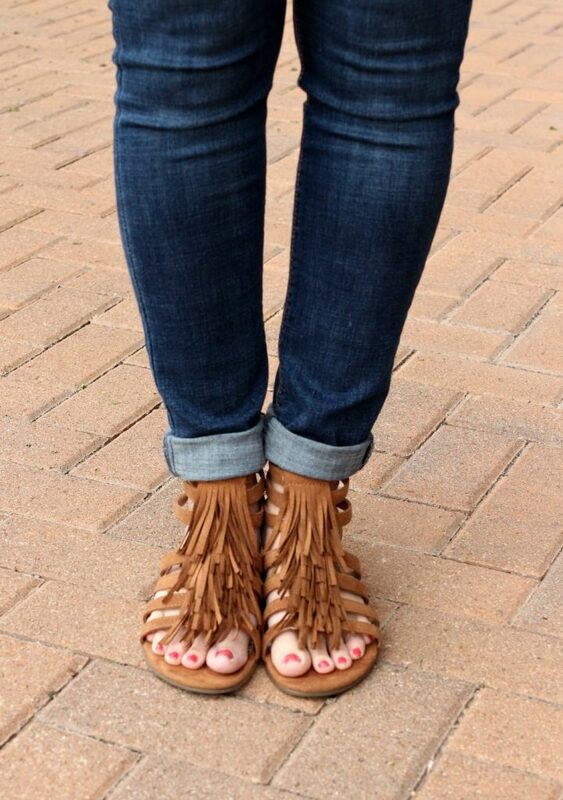 Love the fringe details! So adorable! I love anything with fringe these days. You styled them perfectly too. I’m already seeing this shoe EVERYwhere!! I have to check out Rack Room Shoes, I think I need some. 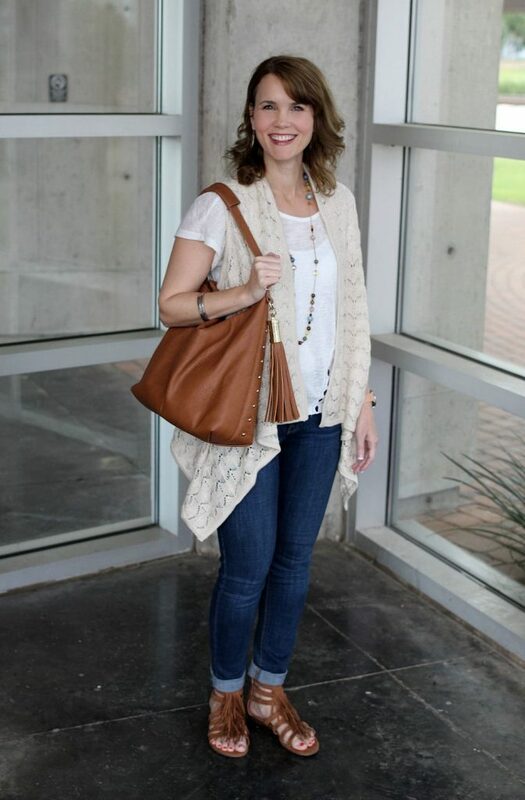 Also, LOVE all the outfits you put together…and your BAG!! Thank you!